Radio station WBUR had a segment of Robin Young's Here and Now program on bed bugs today. She interviewed Gary Alpert, from Harvard. 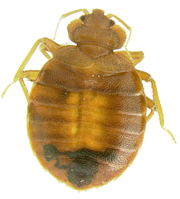 Here's a link to Gary's bed bug fact sheet.